ATLANTA – (November 2, 2017) – After more than 30 years working with the Georgia World Congress Center Authority (GWCCA), former Georgia World Congress Center General Manager Mark Zimmerman has officially retired as senior business consultant for the convention center in order to devote full attention to his new business, Zimmerman Consulting LLC. “The outlook is bright for Atlanta’s hospitality and convention industries, especially at the GWCC, but the time is right for me to focus on growing Zimmerman Consulting,” said Zimmerman, who began his career at the GWCC as a concessions supervisor. 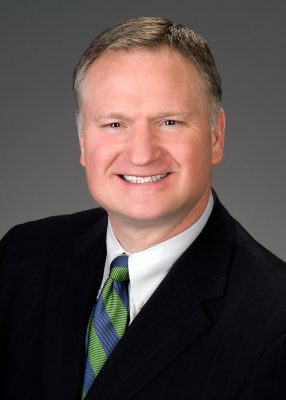 Zimmerman served as general manager of the 3.9-million-square-foot convention center from 2004 until late 2016, at which time he transitioned to a new role as senior business consultant. Under his guidance, the GWCC hosted the 1988 Democratic National Convention, was part of two Super Bowls, several NCAA Final Four and SEC Football Championship fan events, the 1996 Centennial Olympic Games, and various Top 200 tradeshows. His rise through the ranks at the GWCCA includes stints as an event coordinator, event services manager, and director of event services. He left in 1992 to help open the 300,000-square-foot Cobb Galleria Center, where he was named as the inaugural assistant general manager. He returned to the GWCC in 1995 as assistant general manager, a position he held until being promoted to general manager in 2004. Zimmerman is a graduate of Northwood University in Midland, Mich. He has served on numerous hospitality industry boards, including the Trade Show Executive Exposition Forecasting Board. He is a member of the Exhibition Services & Contractors Association, International Association of Exhibitions and Events – Southeast Chapter, Professional Convention Management Association, and International Association of Venue Managers. He has served on advisory boards for Northwood University Entertainment Sports & Promotions Management, Georgia State University’s Cecil B. Day School of Hospitality Administration, Kennesaw State University’s Center for Young Adult Addiction and Recovery and University of West Georgia’s Sport Management program. Contact Zimmerman at [email protected] or 404-886-8322.